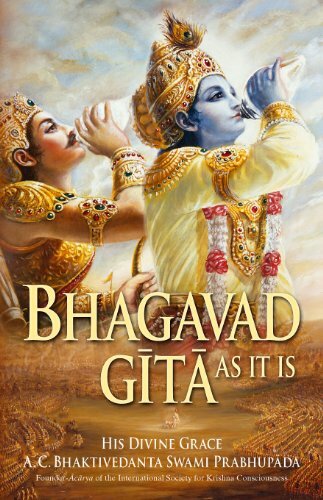 Few days ago, 8thDec was the day of Gita Jayanti,the day of the Advent of Srimad Bhagavad-Gita i,e the day on which Lord Sri Krishna spoke Bhagavad-Gita to Arjuna on the Battlefield of Kurukshetra war.As per Hindu calender, it was a Shukla Ekadashi, 11th day of the waxing moon of Margashirsha month.Also known as Gitopanisad, Srimad Bhagavad Gita contains the essence of Vedic knowledge and one of the most important Upanisads in Vedic literature.The speaker of Bhagavad-Gita is Lord Sri Krishna who is mentioned as Bhagavan or the Supreme God in every page of Gita and, the same is confirmed by all the great acharyas (spiritual masters) like Shankaracarya, Ramanujacarya, Madhvacarya, Nimbarka, Sri Caitanya Mahaprabhu and many other authorities of Vedic knowledge. Thus about 5000 years ago, on this very day Gita was spoken by Lord Krishna to Arjuna, who accepted him as a spiritual master. Arjuna is confused about his duty and surrendered to Lord Krishna and requested him to guide him and clarify his doubts.This is when, Lord Krishna starts speaking to Arjuna. Sometimes People say that Kurukshetra does not exist and that it's a mythological place, a symbol of the body or Kshetra and the senses. They say it is an allegory to explain certain truths.But,the fact is that Kurukshetra is a place in Haryana State of India. It is located at a 2 hour journey from New Delhi by Train and about by by Bus takes about 3 and haif hours.While travelling by bus there is a stop called “Pipli” on Kurukshetra by-pass. From there catch an auto-rickshaw to reach ISKCON Main Bazaar temple (6 km) and then see the holy places with the assistance from the local devotees, or at a nominal cost one can take the auto-rickshaw to visit all the important places to be seen in and around Kurukshetra.There are so many old temples and historic places to see in and around Kurukshetra that once,one is lucky enough to visit this places, no longer considers the place Kurukshetra and the historical incidents as a myth. One can see everything that is mentioned in the Mahabharata and Bhagavad Gita. One can visit “JYOTISAR”a place in Kurukshetra which is the Exact Spot where Lord Sri Krishna spoke Srimad Bhagavad-Gita to Arjuna.Today, as a testimony at the place a huge banyan tree can be seen.During the rule of Moghuls, the tree was cut down but, the tree again grew back. 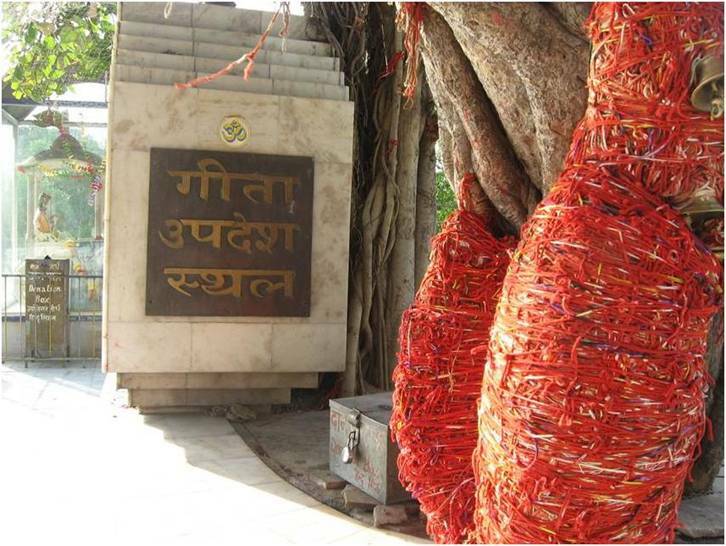 What is seen today is the tree that came back to life from the roots of the original tree.There is a board placed on the tree in which is written “The immortal banyan tree witness of the celestial song Bhagavad-Gita”. 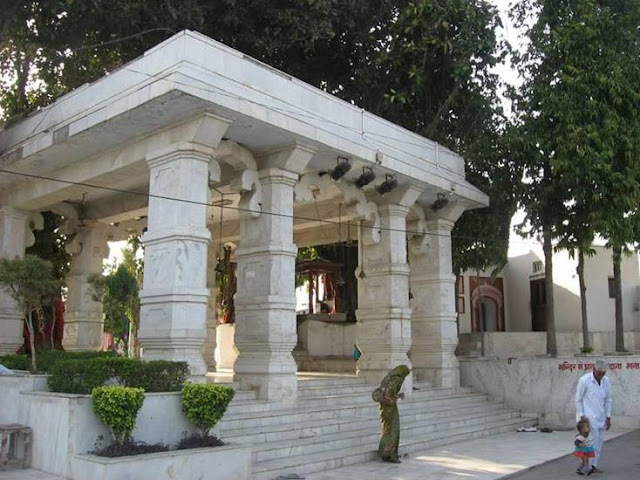 In fact this place is named as the “Gitopadesh sthal - place where the Bhagavad-Gita was spoken”.Doing the Parikrama or Circumambulation of the tree is considered as a very auspicious.There are a number of historic places and old temples including the recent ones like, ISKCON (International Society for Krishna Consciousness) which has 3 Temples in Kurukshetra: (1) Sri Krishna-Arjuna Jyotisar Temple which is very next to “Jyotisar”, the exact spot where Lord Sri Krishna spoke Srimad Bhagavad-Gita., (2) Sri Sri Radha-Radha Kant Temple, Main Bazaar (3) A preaching centre in Kurukshetra. water which flowed into Bhisma’s mouth like a jet that quenched his thirst. This body of water is called ‘Ban Ganga’ which means that the Ganga that emanated from the e shot of a ‘Ban’ (arrow).Today, you can find a lake called Ban Ganga. Karnavadha - a long trench where the wheels of Karna's chariot were stuck before Arjuna killed him. the lake here after running away from battle at the end of the Mahabharata war. He came out of the water when the Pandavas challenged him to fight. son of Arjuna and Subhadra, was killed.